50 χρόνια αργότερα χιλιάδες συγκρεντρώθηκαν στην Ουάσιγκτον για να γιορτάσουν το «όνειρο» ισότητας λευκών και μαύρων που έγινε πραγματικότητα και να ζητήσουν περισσότερη ελευθερία και θέσεις εργασίας. 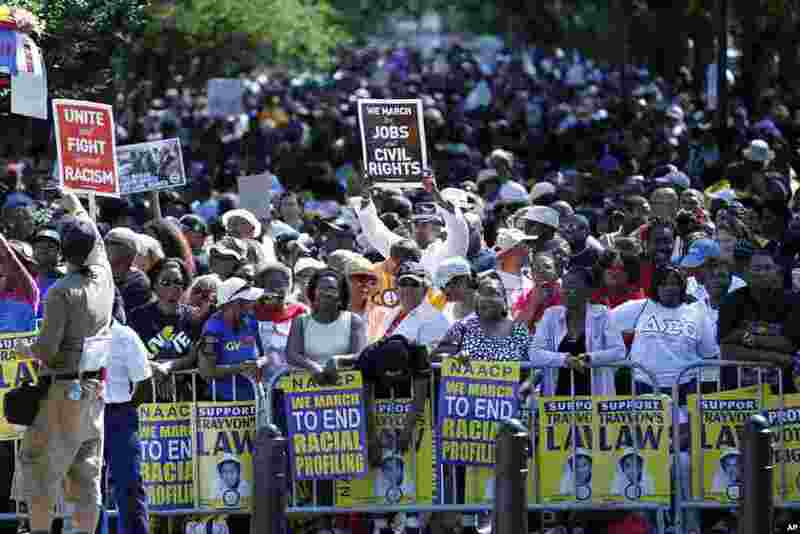 5 Crowds rally at the Lincoln Memorial in Washington to commemorate the 50th anniversary of the 1963 March on Washington, Aug. 24, 2013. 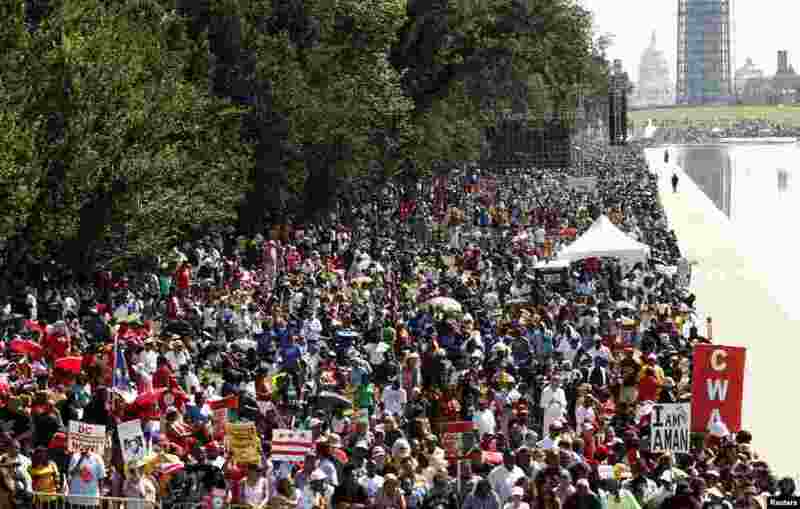 6 Marchers gather along the reflecting pool on the National Mall during the 50th anniversary of the 1963 March on Washington for Jobs and Freedom at the Lincoln Memorial in Washington Aug. 24, 2013. 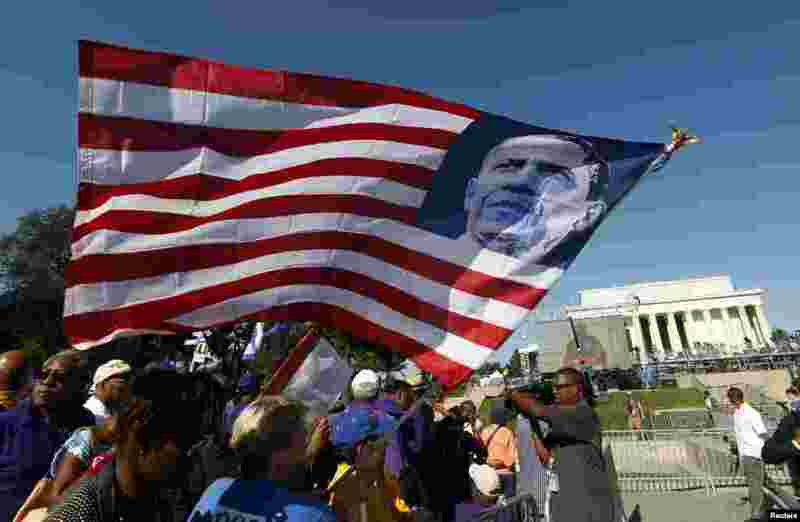 7 A marcher holds an U.S. flag bearing the image of President Barack Obama during the 50th anniversary of the 1963 March on Washington for Jobs and Freedom at the Lincoln Memorial in Washington Aug. 24, 2013. 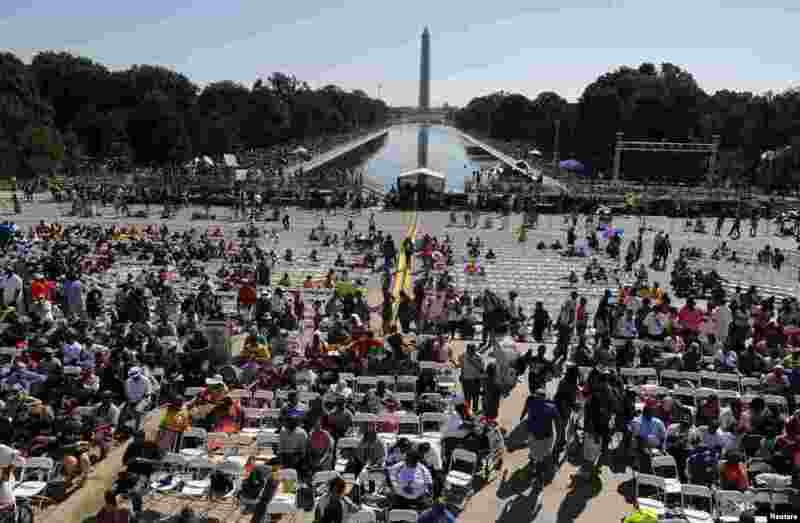 8 Crowds line the Reflecting Pool to watch the 50th anniversary ceremony of the 1963 March on Washington ceremony, with the Washington Monument in the backround, Aug. 24, 2013.